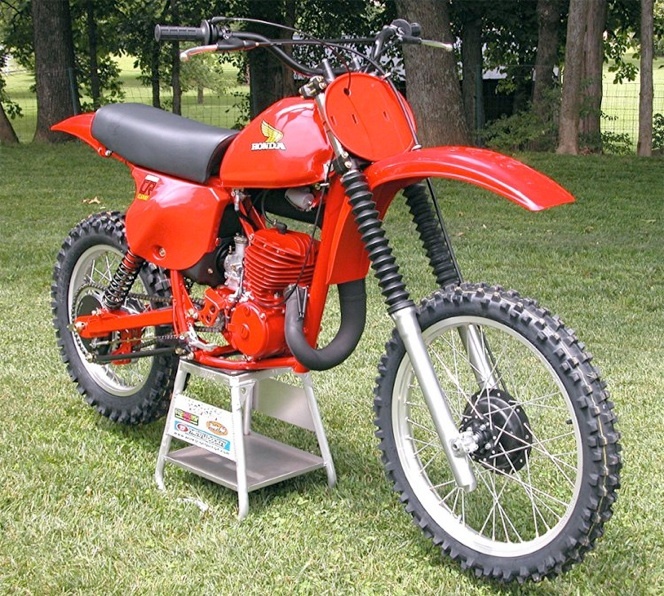 I acquired this 1979 CR250R in late 2006. As you can see from the "before" picture(Last picture in front of fence), the bike was a solid foundation for a restoration. I began the process in March 2008 and fifteen months later, these are the results. I have already chronicled most of the work involved on this website over the months, so no need to repeat it here. Except for the Dunlop 756s, this Red Rocket is pretty much the way it was the day it rolled off the Honda dealer's floor in 1979. Not one single aftermarket or reproduction part was used in the build. I am very pleased with the way it turned out and hope you enjoy the finished pictures.